The Internal Revenue Service announced, Thursday, April 7, 2016 that taxpayers who need to make a payment in cash can now do so at 7-Eleven convenience stores. While it seems unusual to some to pay your taxes where you can get a Slurpee, it caters to a large base of Americans who do not have a bank account or credit card. The Internal Revenue Service announced this week that taxpayers who need to make a payment in cash can now do so at 7-Eleven convenience stores. While it may seem unusual to pay your taxes where you might otherwise pick up a Slurpee, it caters to a large number of Americans who do not have a bank account or credit card. The Federal Deposit Insurance Corporation estimates one in 13 households in the U.S. do not have a bank account. "We continue to look for new ways to provide services for our taxpayers ... this provides a new way for people who can only pay their taxes in cash without having to travel to an IRS Taxpayer Assistance Center," said IRS Commissioner John Koskinen. 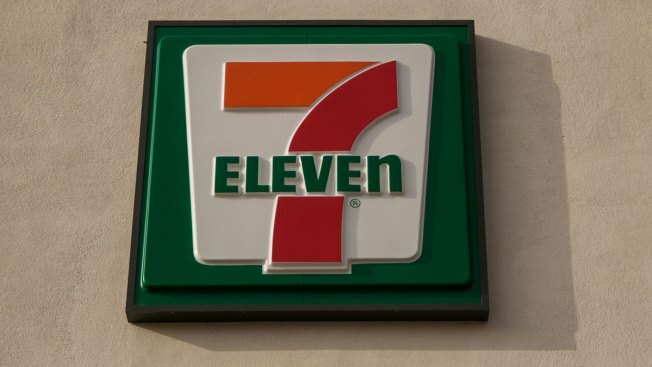 The IRS said payments would be accepted at more than 7,000 7-Eleven stores nationwide. Individuals who want to use this option should visit the IRS.gov payments page, and follow instructions there for how to make cash payments. Taxpayers will receive an email confirming their information and once verified by the IRS, a link with a payment code and instructions. They can then make a payment at a nearby store. Because it is a multi-step process, the IRS urges people to start it well ahead of this year's April 18 tax deadline to avoid any interest and penalty charges. The 7-Eleven stores will provide a receipt for the payment, which usually posts to the taxpayer's account within two business days. There is a $1,000 payment limit per day and a $3.99 fee per payment.